Kodaikanal, simply makes it to the itineraries of the travelers who are about exploration of southern India. The place is simply filled with a number of natural tourist allures and attractions. Head to the city to experience its attractions in reality, and for accommodations, choose from the best luxury hotels in Kodaikanal. 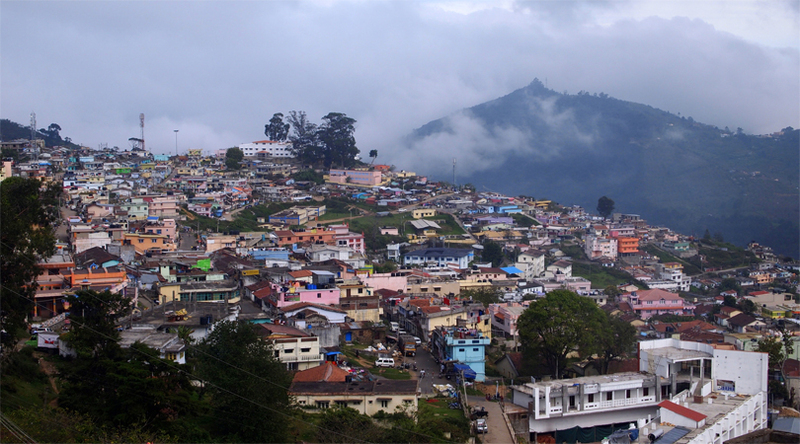 Kodaikanal, the honeymooner’s paradise, is a beautiful hill city that doesn’t need any introduction. Nestling in the turf of the Pali Hills in the Tamil Nadu state, the hill city is simply a majestic city wherein dwells the nature at its bliss. Home to huge rocks, heaven-like waterfalls, glittering small ponds and lake, lush flora, fruit farms, and hills that have been there for several centuries, this hill city is simply magical. A good to know a fact, Kodaikanal is amongst the handful of places in the world where blossoms the Kurinji flower. It is a rare flower species blossoming only once in 12 years! Though, Kodaikanal is not that popular amongst the bag-packers of northern and central India, however, the place is pretty popular amongst the explorers/travelers in southern India. Nonetheless, with the boom of tourism in the country, the quaint hill city is slowly but steadily climbing the ladder to becoming a popular tourist destination. Besides, there today exist some excellent hotels that offer lucrative Kodaikanal packages that simply make one’s tour memorable. Meanwhile, it serves as an excellent ‘slip’ from the hot and humid climate which mostly dwells in most parts of the nation. The city is known to experience a usually cool climate year-long, with the temperature not going beyond 20 degrees, even in the summers. Tourism is the prime economy, driving factor of this small hill city. The locals are very familiar with the tourists, and are welcoming. However, it is one’s responsibility to stay aware of the dupes and false tour guides. While one visits the popular attractions of Kodaikanal, a major place without which a tour of the city is simply incomplete is the Berijam Lake. The lake is about 21 km from the main bus stand of Kodaikanal city, and is actually a reservoir. It is created by a dam and the water of the lake is used to provide drinking water to the public of Periyakulam town. The lake is situated in the upper Palani Hills and is also near to the old site of Fort Hamilton. Aptly set amidst the green surrounding the lake is a tranquil place, where the surroundings are filled with the humming of birds and noises of crickets. Taking pictures with the lake in the background is a popular activity amongst the tourists. Besides, heading out for small nature walk in the area is also an activity to indulge into. The good thing is that there are some luxury hotels in Kodaikanal that offer transportation services to the lake. One can hire a cab as well. When in Kodaikanal, the Coakers Walk is a must do activity. It is actually a pleasing nature walk that takes one through some of the most scenic viewpoints in the region. There is a 1 km long pathway laid out on the slopes of the hillock. Since, it is one of the most popular points of interests in the city, so one will often find other tourists and even locals walking in the pathway. Yet another perfect place to take photographs, the place is simply a must visit. In short, Kodaikanal is replete of places like Coakers Walk and Berijam Lake. Head to the city to explore them in real. For lodging, there are a number of options available. Among these the cheap hotels in Kodaikanal are quite popular amongst the tourists.